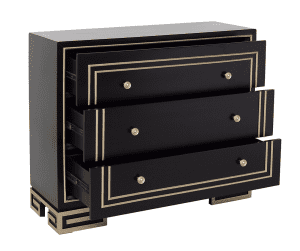 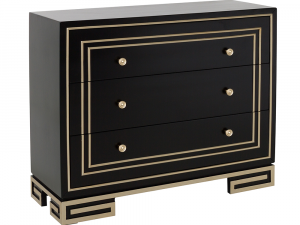 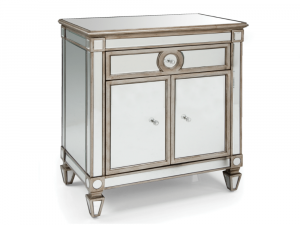 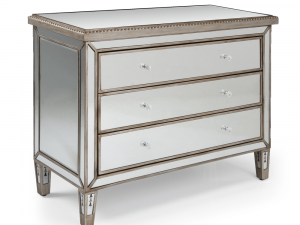 Featuring a bold finish, contrasted by bright highlights, this elegantly designed Drawer Chest is a stunning accent in any setting. Crafted from select hard woods. 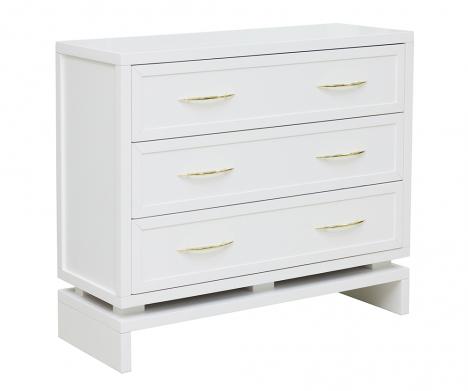 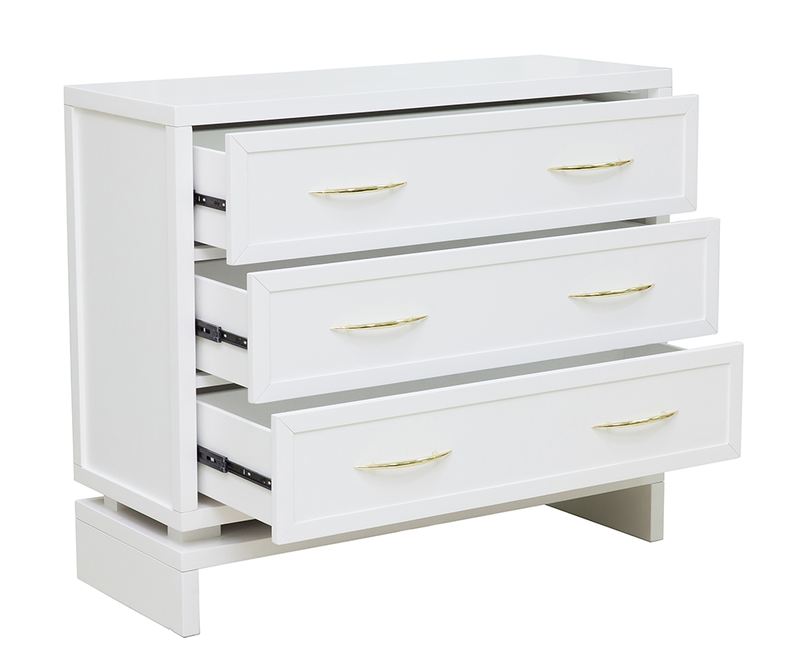 Features 3 drawers with accent hardware. 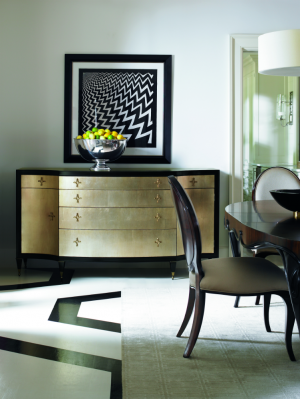 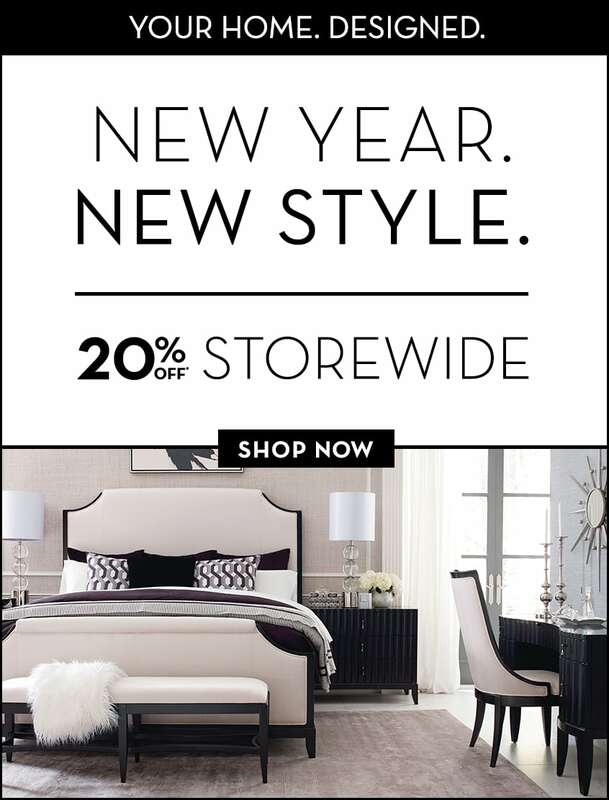 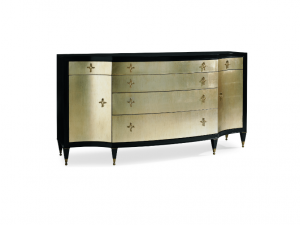 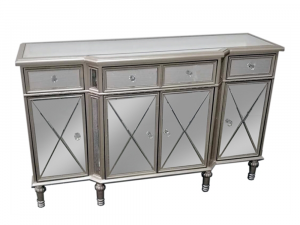 Entertain your home with the tantalizing design of the Xavier Collection.